UAE DOLPHIN PROJECT IS ONE YEAR OLD – A Giant Leap for Dolphin Research in the Region – Divers for the Environment, 2014. UAE Dolphin Project: dauphin sous surveillance – DUBAI MADAME.com, 2014. Dolphins at home in UAE waters – Gulf News, 2014. UAE DOLPHIN PROJECT – Update Field work: start as you mean to go on! – Divers for the Environment, 2013. 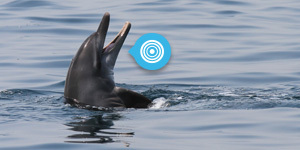 PCFC covenes sea-users for dolphins initiative – AMEInfo.com, 2013. Saving the seas: marine conservation Vision, Fresh perspectives from Dubai, 2013. Dolphin watching in Dubai. How the UAE Dolphin Project is helping investigate the UAE marine mammals.Time out Dubai, 2013. Twenty new charities campaignsTime out Dubai, 2013. UAE DOLPHIN PROJECT – Update: First “Report a sighting” results: the public can make a difference!Divers for the Environment, 2013. UAE residents asked to report dolphin activity and help to build database The National, 2013. Tips to enjoy safe dolphin sightingsThe National, 2013. UAE Dolphin Project, promoting the conservation of dolphin species and the local marine environmentDivers for the Environment, 2013.